If you have been reading up on our advice on fashion and fragrances, you’ll know, by now, that your outfit isn’t quite complete until you finish it off with a proper scent. Whether it’s the Bleu de Chanel Parfum for your dashing cocktail-chic ensemble; or a more active Jimmy Choo Man Blue “look” with white sneakers and a suit. And for those relaxed, tieless suit combination days, you can always count on the refreshing scent from Le Jardin de Monsieur Li Hermès to lighten up your outfit. Adding to the mix of our sartorial options, we’ve seen the hugely popular street-style inspired fashion sprouting up season after season. What’s not to like? With all the options from high-end luxury houses to fashion tie-ups between brands (think LV x Supreme, Karl Lagerfeld x Puma, etc…), they make you look effortlessly stylish in the comfort of t-shirts, cross-shoulder bags and sneakers. So, if you’re someone who digs this dressing trend that’s deeply rooted in skate and hip-hop culture, it’s time to explore some niche scents to match your Supreme, White, Fxxking Rabbits, Sottes, etc. From blackcurrant to bergamot and vetiver, here are five exceptional cult fragrances for your consideration. One of our all-time favourites, this masculine concoction of blackcurrant, bergamot, apples, pineapple (top notes) eases to jasmine, patchouli, birch, juniper berry (middle notes) before settling on musk, oakmoss, ambergris, and vanilla. The exceptional scent, first launched in 2010, pays tribute to the dramatic life of a historical emperor, celebrating strength, power, and success. 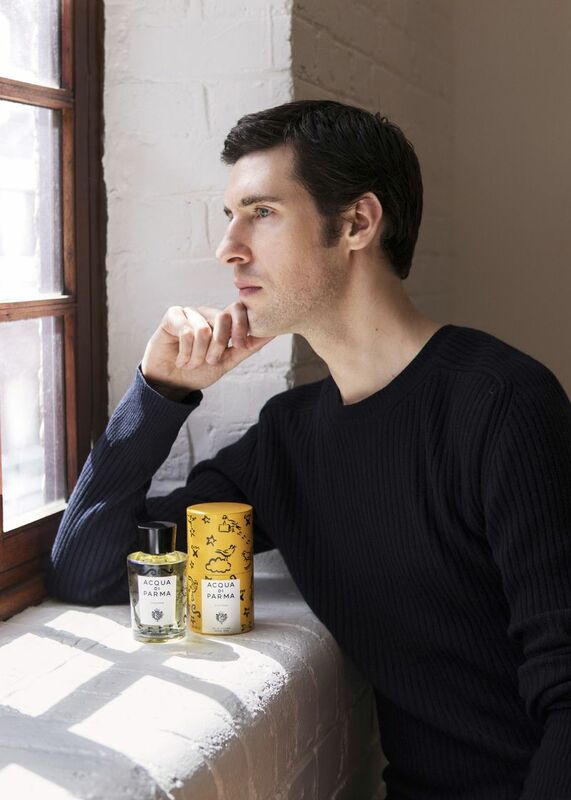 The bestseller from one of the oldest fragrance houses, founded by James Creed, was crafted by the Sixth Generation Master Perfumer Olivier Creed in collaboration with his son Erwin. Its name is derived from a (“from”) Ventus (“the wind”), illustrating the Aventus man as destined to live a driven life, ever galloping with the wind at his back toward success. This olfactory potion has garnered quite a following from New York to London, Hong Kong to Singapore. Perfumer Frank Voelkl chose notes from Australian sandalwood, cedarwood, cardamom, iris, violet, ambrox, and leather accor to express the masculinity and sexiness of the free-spirited men of the American Wild West. It’s both seductive and sophisticated. Renown perfumer Francis Kurkdjian pictures “a dazzling space between the blue of the sky and the blue of the sea. It widens to allow a sparkling sun to burst forth…” To encapsulate this remarkable spectacle, he concocted a refreshing potion with accents of petitgrain bigarade for the opening notes, with blackcurrant bud, mimosa and a delicate touch of jasmine at the heart finishing with a musky accord. The ‘Colonia Artist Edition line’ is the latest collaboration between the century-old Italian fragrance house and the creative vision of artist Clym Evernden. The special edition with the same classic notes of Lemon, Calabrian bergamot, sweet orange, lavender, and precious vetiver receives a design update from Evernden to the iconic. bottle. From birds in flight to Italian palazzos and fluttering curtains, the special design captures his interpretation of Italy. Inspired by breaking waves, sea salt spray, and the mineral scent of rugged cliffs, perfumer Christine Nagel’s Wood Sage, and Sea Salt captures the mood with notes of ambrette seeds, sea salt, and the woody earthiness of sage. It’s a refreshing and great all-day scent.